BOOK DR. HALLOWELL TO SPEAK AT YOUR EVENT! Superior presentation to relevant topics. Without a doubt Dr. Hallowell was the most enjoyable presenter of the conference (2 days). He exceeded my expectations. He got a standing ovation. Very informative. 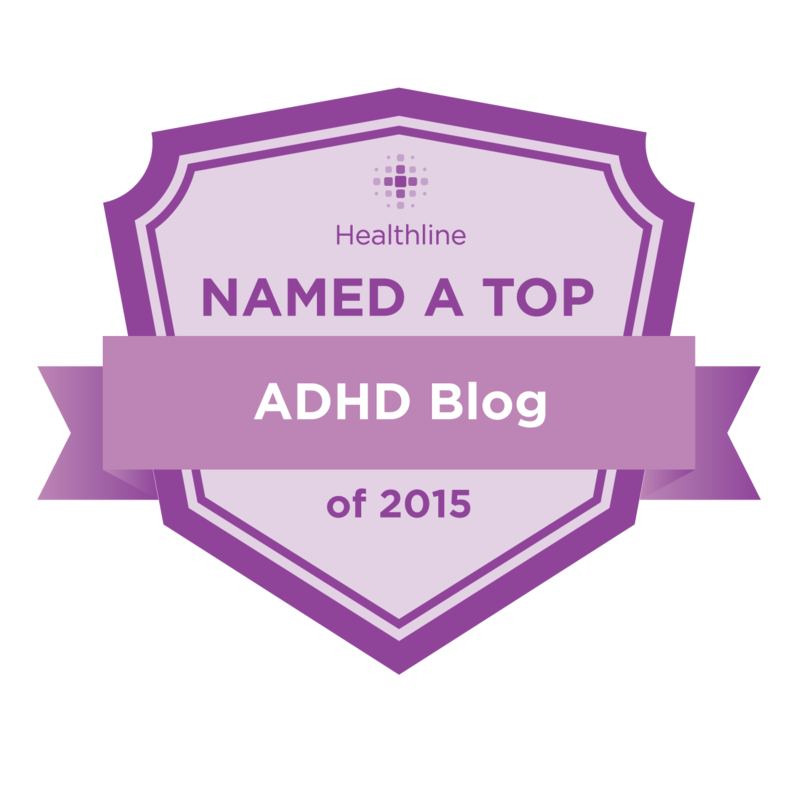 Changed my perspective on ADHD as counselor and parent. Wished he had not cut off the last 4 of us that wanted to ask questions. He is such a dynamic speaker and this topic is very personal to me. He is motivating, approachable and makes it feel so easy. I hope to hold on to that. JUST TERRIFIC AS ALWAYS !!!!!!!!!! The highlight of the conference. Dynamic, spontaneous and relevant dynamic! This speaker provided an A+ presentation and was extremely enjoyable to hear!!!!!! He provided valuable information for school teachers and I loved the way that he stressed the positive aspects of ADHD!!!!!! Please have him again next year!!!!! By far the best speaker. I learned so much about ADHD and the fact that the most important piece of the puzzle is making connections with the children we work with. Have been to 2 of his previous lectures and the information he communicated from his new book was done in his usual stimulating style and was very interesting and useful. Ed is an amazing, inspirational presenter. Thank you for having him as a presenter. It was nice to hear a Psychiatrist focus on a “strengths based” perspective, as social workers are taught and trained to work from this perspective. Excellent! Had my attention the whole time. dynamic; helpful; practical; He knows what he’s talking about! Wonderful! Engaging! Helpful! I loved this speaker; the content was applicable and engaging. Dynamic, passionate and engaging presentation. The most dynamic, passionate and engaging speaker, by far. He blew me away. I loved hearing his strengths perspective on adhd/add especially in light of the fact that its coming from a medical doctor. Extremely relevant to my daily work. This was an outstanding presentation. It was engaging and extremely helpful and identifying strengths. Incredibly dynamic, great info, there’s a reason why he received a standing ovation. Excellent info, humor and references. Inspiring but “old” (to me). Always a great speaker. I’ve heard Dr. Hallowell before, and he was just as brilliant this time as when I’d heard him in the past. Engaging and inspiring, I left feeling differently about the ADHD children who typically drive me crazy! Not necessarily did I learn any new concepts but once again reminded and refreshed on the importance of connectedness. Dr. Hallowell is always a dynamic speaker. Directed to the audience-great presentation! THIS WAS THE HIGHLIGHT OF THE PROGRAM. I WOULD LOVE TO SEE HIM AGAIN. FURTHER, MORE TIME WAS NEEDED TO SPEAK WITH HIM. TO DATE, HE WAS THE BEST SPEAKER I HAVE EVER SEEN ON THIS TOPIC! One of the best presenters that I have ever seen regarding ADHD. Dr. Hallowell’s use of personal anecdotes and his skill for keeping the audience engaged was inspiring. Great to hear a about a topic that has been talked about for many years be presented in a positive and unique way. love his energy. knoweledgable. wish he could have stuck around to talk to. He was an excellent speaker. I especially appreciated that he spoke from the center of the podium. Strong points are history of ADD, boy girl differences, strengths of ADD people, power of connecting with ADD people. Weakness: No focus on meditation. Emphasis on strength-based model important. He is always great to hear and always is able to re-energize my thinking about students with ADD. Favorite speaker of the group. EXCELLENT! Very engaging, funny, poignant, and extremely relevant to not only ADHD, but also had great ideas and important messages for working with all students with many different disorders. Excellent presentation! Wonderful, important talk! Great great great!!! Ned’s presentation was very informative and approachable. The presentation was relevent and very useful. Thank you! Always inspiring. Could listen to him for much longer. a great speaker -had a clear take home message and did it without power point. wow what a guy! It is all about connections and embracing the whole child. Excellent presentation and information that helped me to understand better children with adhd and how to help them to be successful. Inspiring! I only hope I can maintain the level of caring and excitement I felt after hearing him when I get back to work. Just the best. I am so grateful he is doing this work and I wish he could speak to our teachers. This was an excellant presentation. The only problem was that it was too short. Excellent speaker! A great way to start the day. I loved his perspective and he left me with new ideas about the disability. Stressed a key concept. Connected to people listening. Was a clear and energetic speaker. Really enjoyed! Excellent, inspiring to all who work with this population! Wonderful speaker! Trmendous presentation!! VERY inspirational. PLEASE have him back!! Tremendous presentation! Please have him back for more! Very inspirational and helpful. I enjoyed his presentation but would have liked more handouts so I could reference back. He was inspiring. Excellent charismatic speaker. Very arrogant and self promoting when asked a question 1 on1. “The answer to your question’s in my book”. Kind of ironic to hear from a guy who just spent that 30 minutes hammering away on the importance of connection. By far the best presenter. Very motivating and presentation style was engaging. Excellent presentation. Given how long we have been learning about ADD wonderful to get new info. and perspective with research base. great fun speaker….not too much new info but great delivery and good speaker to start off the day. This is an amazing man who really understands what works with kids! It was a pleasure to participate in this presentation. He was the best speaker of the weekend. Engaging, inspiring, interesting, motivating & helpful. Presented information from a new & fresh perspective. Excellent. Great presentation; love the idea of a strength based approach to AD/HD. having been beated for being bad, lazy and stupid. He was stimulating, engaging and concise. He did not just read his slides. His passion and mannerisms helped his message stick in my brain. Excellent presentation! He was enthusiastic and energetic about the topic, thoroughly answered questions, and was very knowledgeable. His perceptions/thoughts gave me insight into working with a particular student. Interesting, engaging, adn couldn’t agree more about he importance of the connection! awesome! definitely have him return. he has the best delivery yet! funny, heartfelt, healthy perspective on ADHD. He is a very positive and engaing speaker but I did not learn too much new information. I have seen him speak before and it was still inspiring. Is listening to Ned present on ADHD EVER bad? He was as engaging, enlightening and inspiring as ever! Inspirational! 68% of my practice is with ADD adolescents,couples and adults. Dr.Hallowell is a pro! Loved the flipping of negative symptoms of ADD to positive traits! Wonderful to hear about the emphasis on connectiveness. Would love to see him again! Inspiring, relevant presentation. Dr. Hallowell gives a wonderful perspective on dealing with students with ADHD. The speaker moved around on stage and communicated very well with the audience. This was the most interesting presentation of the weekend for me. Charismatic presenter; captivating and informative! I loved that he did not read his slides and was more interactive!! Dynamic speaker who presented concrete data and information about the importance of establishing relationships with students. Great information and presenter, I loved his talk and took many notes. Points taken, to see that ADHD students have so many strengths to focus on that. Best presenter! Connected with the audience and allowed us to feel inspired and refreshed! Although I have reasd his work , it was the first time I had heard him present! Awesome and very practical! Great way to start the day! he was also excellent. One of my favorites. I bought one of his books. I will use the strategies that he discussed right away! He was an audience-friendly speaker, and really made a connection. Entertaining, with a positive message, but not much new. Loved his presentation. Very upbeat, hopeful, inspiring! I wished he had more time. One of the most motivating speakers I have ever heard! Highly Knowledgable, but more importantly, inspiring. The best speaker of the conference! Great strategies and words to use. Outstanding presentation, funny, informative a great way of starting Saturday AM. Gave great examples of how to look at kids with ADD and ADHD. A great reminder to focus on the positives!! This lecture was the true gem of the course! Dr. Hallowell’s presentation captured the essence that needs to be used for all students! I am changing the ways I instruct all students after his inspiration. I can’t stop thinking about how inspiring his talk was. Really wonderful and powerful! Validating for what I believe in and the daily work I do. DR. Hallowell was the reason I came to the conference. I could have listened to him all day. I loved that he talked to us and didn’t read from the slides. I was energized and hopeful and reminded of why I became a social worker and learned how to “reframe” concepts when working with families. I found the idea of forming a “connection” to be at the heart of what I believe and what works and engages families. He was outstanding! His information and delivery motivated me as a professional and as a parent. I have never heard anyone speak in such a ‘hopeful for the future’ way about this topic, and this is so important to helping children and families! Dr. Hallowell is an incredible speaker. His presentation provided a new perspective on ADD and his personal experiences were extremely helpful. Fabulous. Animated style and down to earth nature showed a true caring for children. Hope, Help, and Humor. It is about connection that we make with our students. I was very impressed with this presenter. Presentation and ideas presented were terrific. What a presenter. Left me feeling encouraged and gave me a new context for working with this population. Professional/personal style was outstanding. Humorous, compassionate, positive…my overall favorite! learned new ways to approach a 504 plan. Thank you for being very engaging. I was so happy to see he did not read from a power point the entire presentation. He was refreshing to stand and just speak. He knew a lot of the history and background. Excellent presenter! He did an incredible job highlighting interesting information. Dr. Hallowell was a dynamic and enthusastic presenter who delivered extremely important information. I was fully engaged. The audience stood up and applauded. It was one of the best, most informative presentations on the topic that I have ever heard. He provided helpful and real advice! fabulous presenter and right on with content!! He was your best speaker. Entertaining, but not very useful professionally. No new content or important information about the topic. Dr. Hallowell was an outstanding speaker. I liked how he lectured without power-point and spoke from experience. What can I say–a superior presentation in all respects. I couldn’t stop laughing! We didn’t need the power point. I have read Dr. Hallowell’s books and will continue to regard him as a gem in his field! An upper class perspective. He’s amusing but he’s speaking from a perspective of growing up and attending the top schools in the country. Fantastic-one of the reasons why I signed up for this class and I was not disappointed. Really love the strength based approach (being a therapist before I entered a school system). I also thought his examples and resources were invaluable. I love this guy. I could listen to him all day. Great analogies to use with kids!!! One of the best speakers of the weekend! Very inspiring and practical information about turning ADHD on it’s head. Exactly what one would expect from a Harvard Medical School conference! Dr. Hallowell was one of the best speakers the Department has had. His embracing of fostering strengths was refreshing. Excellent! Brought down the house. Humor helped to solidify concepts. More time was spent on the background of ADHD versus sharing practical tools for working with a student with ADHD in the classroom. Excellent, as always! So dynamic! Glad to hear a hopeful positive approach to treatment of ADHD. Wish he was more available for referrals. Topnotch. Hooray for knowing your topic and yourself! Exceptional presentation – very inspiring! He was amazing! Great perspective on ADHD and LD. Dr. Hallowell is a very charismatic speaker. His anecdotes infused with humor held our attention. While there were no slides, none were needed, as his presentation style was enough. First time hearing Ned and am so very glad I did; his message needs to be repeated over & over again; and large public schools need more school social workers to do the work the way it should be done. Excellent presentation. He engaged participants and presented with realistic experiences and practical techniques and strategies. very enthusiastic – easy to engage with..
Great. Inspirational. Morale and hope are a major part of the work. Great energy, curiosity, and creativity!